Home Entertainment Here is The Truth About Lee Dong-wook’s Plastic Surgery! Here is The Truth About Lee Dong-wook’s Plastic Surgery! Who hasn’t heard about one of the most handsome Korean actors, Lee Dong-wook? Every single girl will scream her lungs out when seeing him either in Korean dramas, or in a magazine, or even on a billboard that we can see on the street. This Korean actor is really famous for his nickname “Ahjussi but feels like Oppa.” This is mostly due to his beautiful appearance, especially when he was playing Wang Yeo in our most favorite Korean Drama, Goblin. This actor, who was born on November 6, 1981 (aged 37), has made his acting debut in 1999, and went on to appear in a number of TV series. Among these is My Girl, which has been produced by SBS, and has become a great hit while airing, both domestically and across Asia. 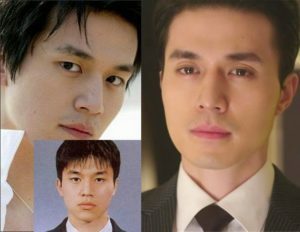 This aided in making Lee Dong-wook a Korean Wave superstar. Lee Dong-wook always makes a good impression and looks good in front of the media, especially his fans. He rarely ever shows up with negative news or news that is not related to his acting career. He never talks about his personal life. But sometimes ago, our Dong-wook Oppa shocked everyone with his news. Most of this audience, especially his fans, were wondering whether the news was true or false. On March 9, 2018, it was confirmed by their both agencies that Dong-wook was in a relationship with one of the most adorable Korean actresses and singers, Bae Suzy. It was shocking news because it was completely unexpected for the two of them to be dating. Some of the people in their audience didn’t support their relationship because they thought that Suzy had just broken up with her former boyfriend, Lee Min-ho. Of course, many of their supporters and fans will be supporting their relationship no matter what. Sadly, four months after their agencies officially confirmed about their relationship; the two of them announced that they have broken up due to their busy schedules. So… you guys, who have a crush on him, do you want to try to replace Suzy’s position? Nothing is impossible! 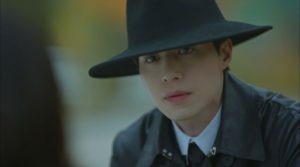 There are no doubts about the beautiful, handsome, and adorable appearance of Lee Dong-wook. Who wouldn’t want to be his girlfriend, like Bae Suzy? Or perhaps even his wife? Yes! Most single girls out there probably wouldn’t decline the opportunity. But sometimes, because of his almost perfect appearance, everyone is curious about whether Dong-wook Oppa has done plastic surgery or not. We all know that doing plastic surgery has become very common in South Korea, especially with celebrities. Perhaps, it is demanded of them for being a celebrity, who always has to show up on television, or maybe it’s just for their own satisfaction. In 2011, a photo of Lee Dong-wook and Lee Da-hae that had been taken in the past had popped up on the internet. And the speculation about him having done plastic surgery began to emerge. Some of the audience wondered if he had done a nose job and eyelid surgery. So, is plastic surgery the cause for all the craze over his handsome looks? Let’s find out about it further viewing the photos of him below. According to South Korean plastic surgery experts, it is said that the transformation of the eyelids from monolids to double eyelids is not an uncommon thing. It can happen when someone gets older and older. But no matter what, he is still handsome, right?